The bib made of a safe cotton material considering the nature of a sucking baby is soft and thick, not irritating the baby’s skin, simply detachable and easily re-usable after washing. For the easily adjustable shoulder belt, a father as well as mother can adjust the length comfortably. It prevents strong wind and sunlight and wraps around the head when the baby is asleep to help a comfortable night’s sleep. Ventilation window with an air mesh material helps maintain body temperature of the baby because the heat and sweat can be discharged when you use in summer or indoors. 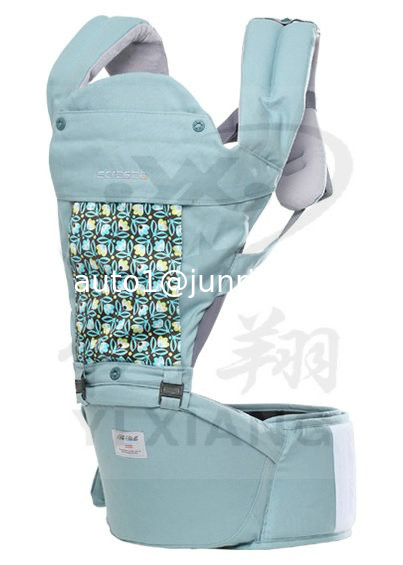 The area that baby band is connected with hip seat is rigidly fixed to the zipper and links by applying the double locking system, so you can use it safely. It is ergonomically designed to maintain a relaxed posture so that it does not tilt forward or it also has good durability using high-density and non-toxic foam.